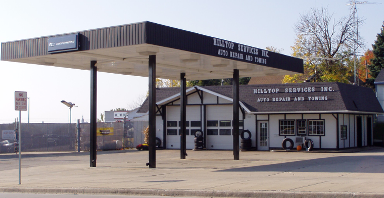 Hilltop Services is a full service auto repair facility that has been providing top quality automotive care for over 45 years to West Bend and the surrounding area. We also provide 24 hour towing and recovery and fenced, secure storage. 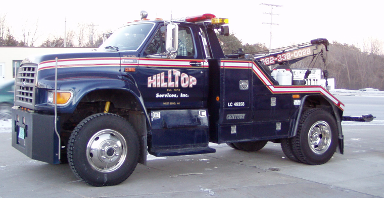 Hilltop Services has a large selection of tires from top brands like Cooper, Bridgestone, Firestone and Michelin. We are open from 7:00am until 5:00pm Monday thru Friday. We are also open from 9:00am until 12:00pm on Saturdays by appointment only. 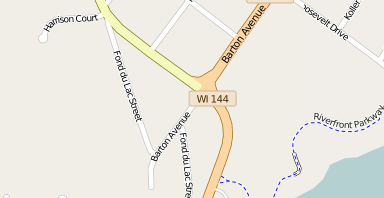 We are conveniently located at 1410 North Main Street which is on the corner of North Main Street and Barton Ave, at the "Top of the Hill". With easy access from US-45 from the North and South and WI-33 from the East and West, Hilltop Services is a short trip from anywhere in south eastern Wisconsin. Directions are available via Google Maps.